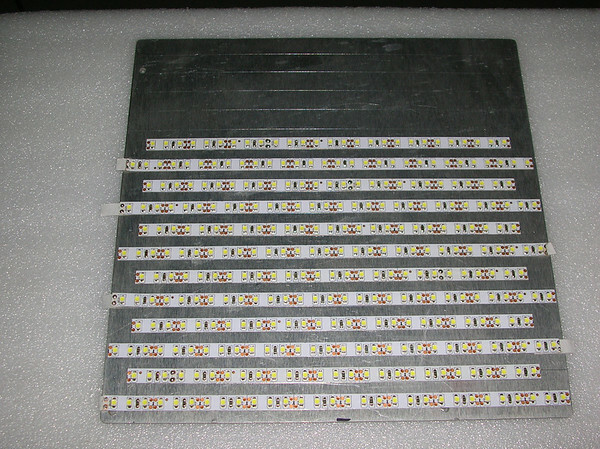 Laying out the LED's on calculated spacing, on a 10 x 10" aluminum plate. 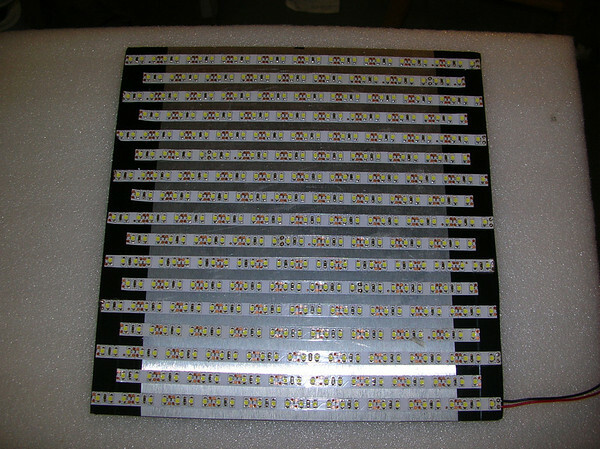 LED's are Cool White 3528 SMD Flexible LED Light Strip. 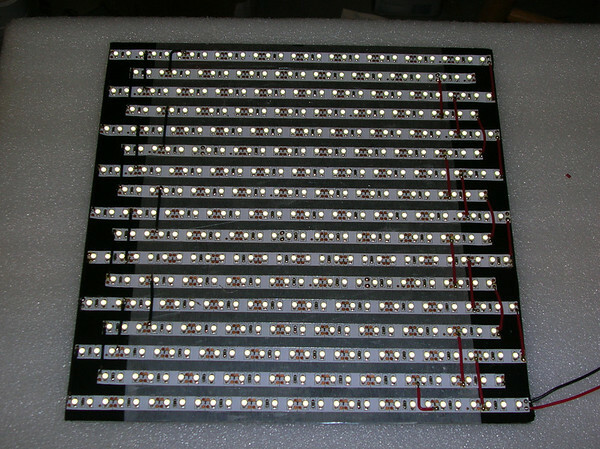 5 Meters 600 LED per 5 meters. 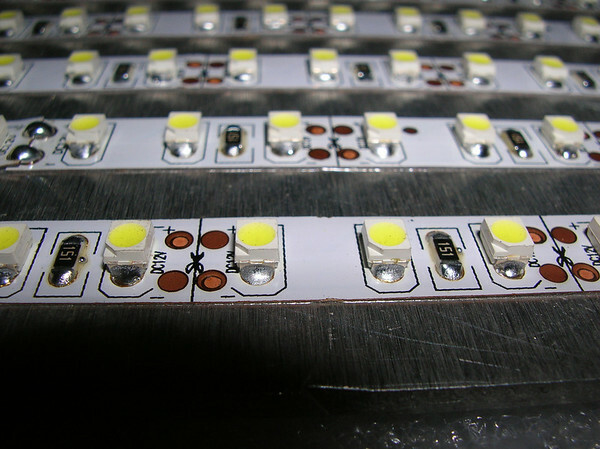 A full panel of LED's is probably overkill, but I was after even illumination vs. brightness. 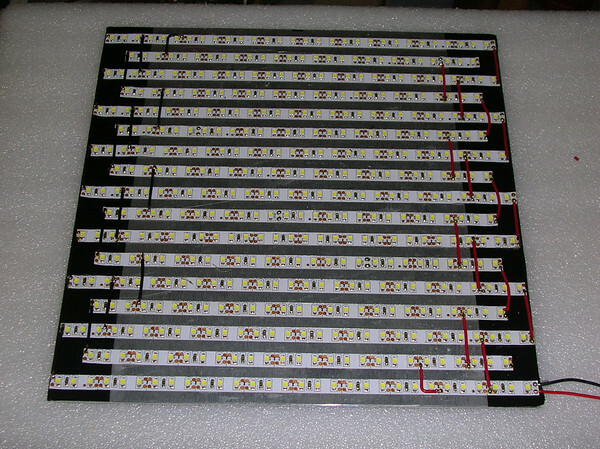 The ends of the strip have exposed contacts that will short out against a metal plate. 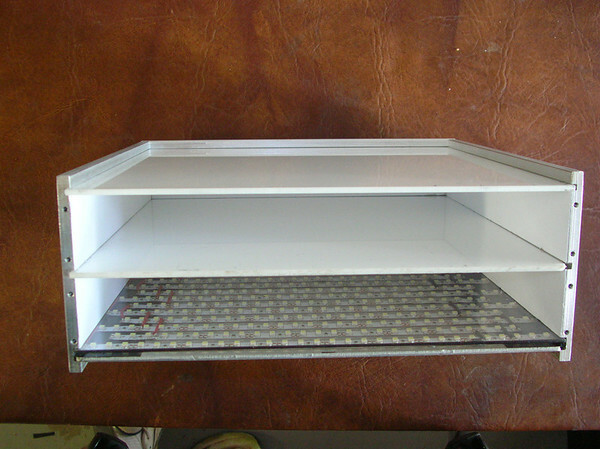 Insulated ends of the metal plate, to prevent the ends of the LED strip shorting against the metal plate. First Illumination test. 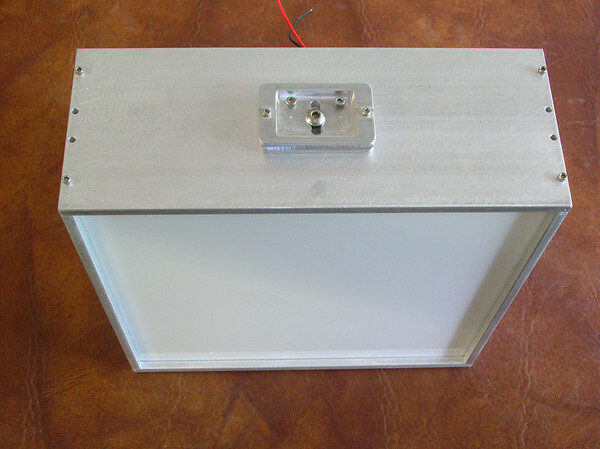 At 12V, the entire panel draws about 2.5 amps at full brightness. 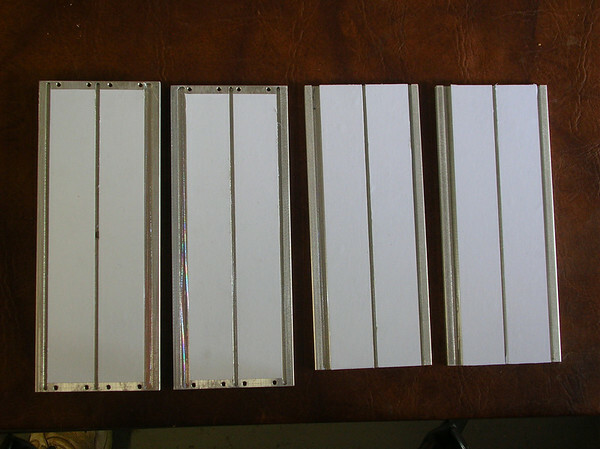 From bottom to top: LED panel, Clear Lexan, 1/8 milk white plexiglass (2 pieces). 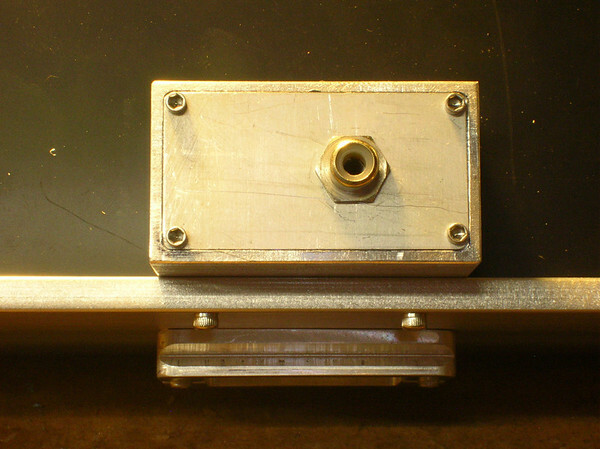 Machined side and top/bottom plates. These are covered with white copy paper adhered with 2 sided tape, to enhance reflectivity and reduce specular reflections off the aluminum. This adds about 3% edge brightness, to reduce the overall panel gradient to less than 2.5% over the surface. Aluminum overkill? Definitely. But I have the raw materials and the means to machine it. I don't have the same tools for wood. 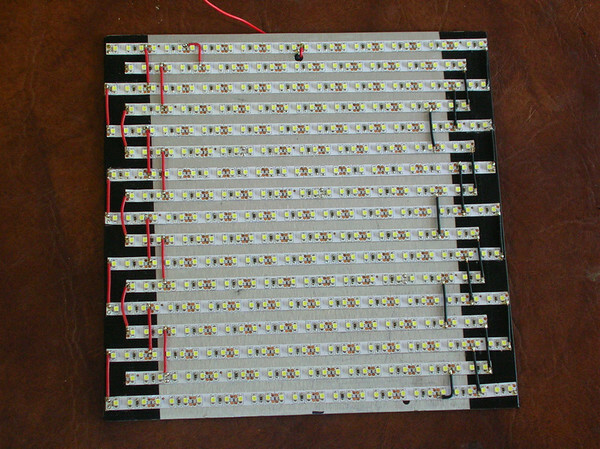 Bottom view of the LED panel. 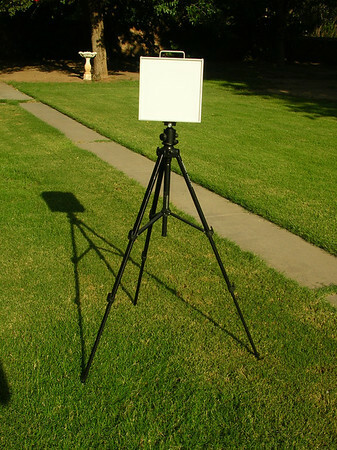 A machined Arca-Swiss plate was installed to allow the light panel to be used on my photographic tripods that used this type of plate. 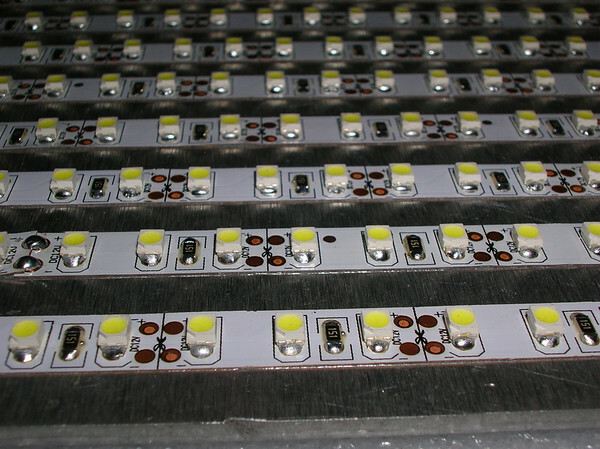 The panel will run at full brightness off 12V, but an adjustable DC-DC converter was installed, to allow the panel to be dimmed to the optimum brightness for both LRGB and narrow band filters. 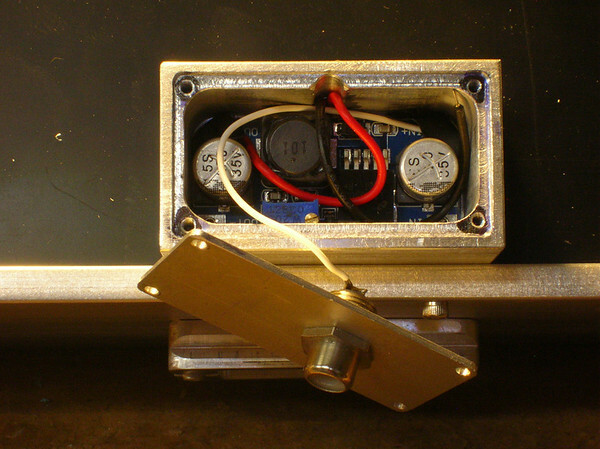 Internal view of the DC-DC converter, with the adjustable potentiometer for varying the voltage and thus the panel brightness. 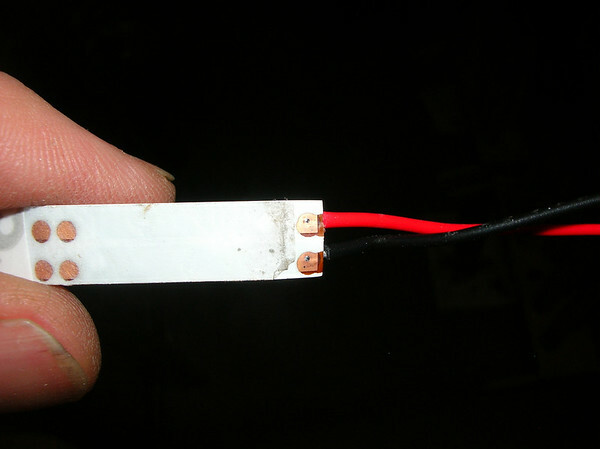 Just need to solder that last ground wire. 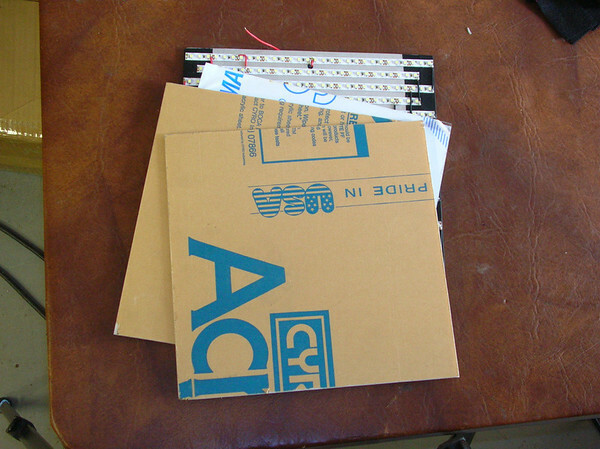 I used Special RCA connectors for many of my Astro electrical needs. 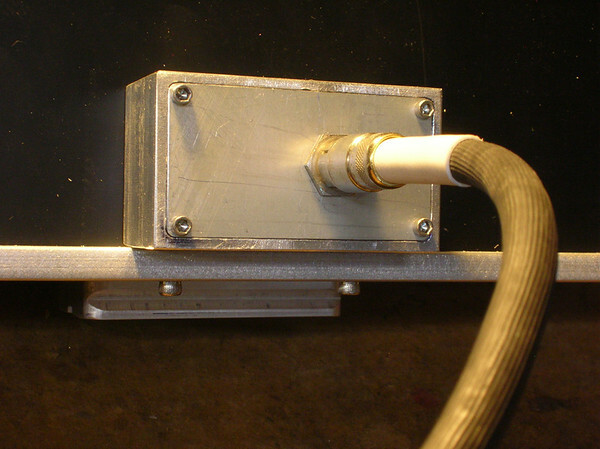 They provide high current, reliable power connections. More than a dozen cords were placed in the freezer to test for cold flexibility. It turned out that this cord, which was replaced on our Kirby vacuum cleaner was the best. It remains very flexible at low temperatures.